Liverpool Football Club can confirm Steven Gerrard will be appointed as manager of the U18s team ahead of the 2017-18 season. The 36-year-old will take on the role this summer, having returned to the Reds in the position of Academy coach in February following his retirement from playing last year. In assuming the post, Gerrard will replace Neil Critchley, who will take charge of the U23s. Current U23s boss Mike Garrity will become part of Critchley’s backroom team for the new campaign. Gerrard said: "I have really enjoyed my time at the Academy so far and feel I have learnt a lot from the coaching staff here already. After speaking to Alex [Inglethorpe], we feel as though it is time for me to step up and manage my own team. 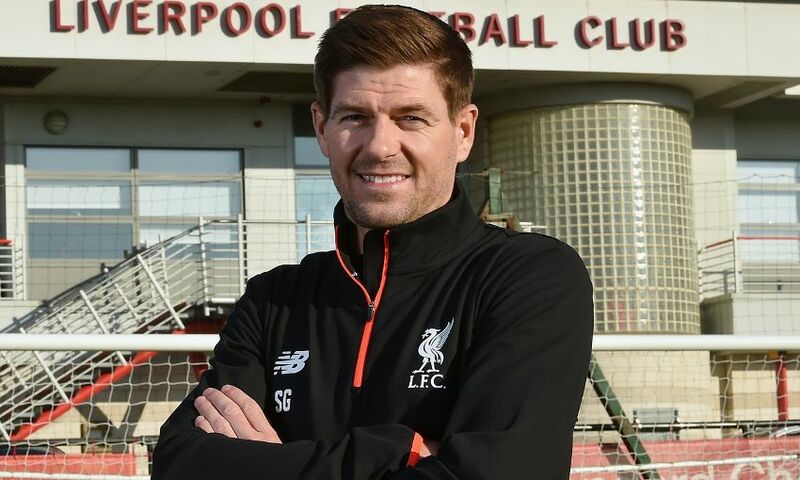 The move represents the latest chapter in Gerrard’s Liverpool FC story, which spans in excess of 17 years. After hanging up his boots following a playing career that consisted of 710 appearances, 186 goals, 10 trophies and innumerable iconic moments with the Reds, he returned to where it all began at the Academy earlier this year. For the last three months, Gerrard has operated in a wide-ranging role at the youth complex, working in the professional development phase of the young players and offering advice and guidance gleaned from his remarkable career. Academy director Alex Inglethorpe said: "Steven has brought invaluable experience and knowledge to us since joining the Academy, passing on some fantastic advice and guidance to our younger players. We both feel now is the perfect time for him to take the next step in his coaching career and manage his own team. Critchley’s switch to U23s manager comes after nearly four years in charge of the U18s, during which time the likes of Trent Alexander-Arnold, Ben Woodburn and Ovie Ejaria have progressed from that level into the first-team setup. Inglethorpe added: "This is also a fantastic opportunity for Neil to step up too and manage the U23s team. He has done a brilliant job with the U18s since joining us in 2013 and I am sure he will continue to help with the progression of players into the first team."